The concept of using birdsong as a basis for musical expression is nothing new. Composers from Beethoven to Messaien have taken advantage of this ready source, and have produced music that is lyrical, haunting, and even harsh. 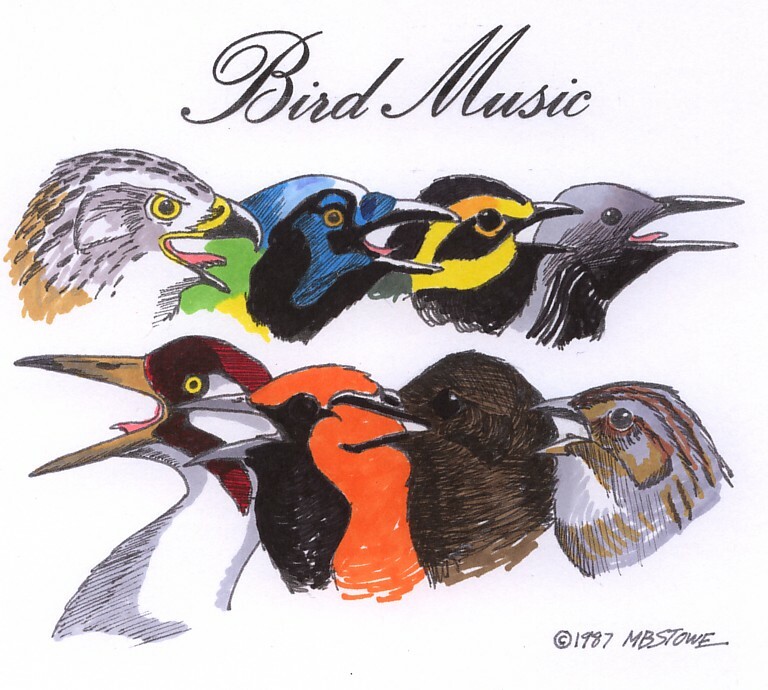 The bird calls I have chosen as material were used not necessarily because of their musical potential (those who know the call of the Brown Jay will most certainly agree), but rather because the birds themselves held some special significance, and in 1979 I began a tradition of writing a piece of music for every new species of bird seen. The pieces are grouped into suites bearing the names of the areas where the birds were first seen. Some of the pieces, such as Pelagia, are based upon the calls of several birds (in this case: Manx Shearwater*, Arctic Loon*, Black-footed Albatross, Sooty Shearwater, and Red Phalarope). All music contained on these sites and the cover design are Copyright ©1987 by the composer. *The vocalizations used in the music reflect the indicated species, but the birds actually seen have since been split into Couch’s Kingbird, Black-vented Shearwater, and Pacific Loon respectively.